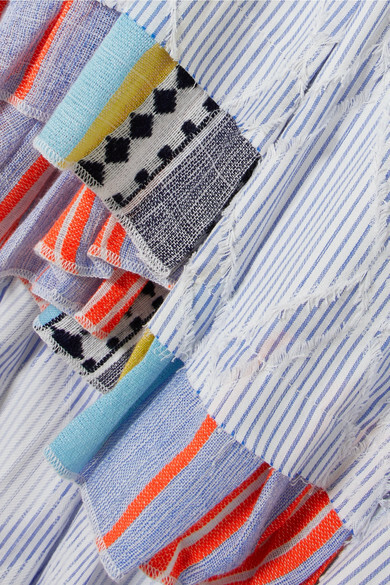 LemLem's collections are made up of the dreamiest warm-weather pieces. 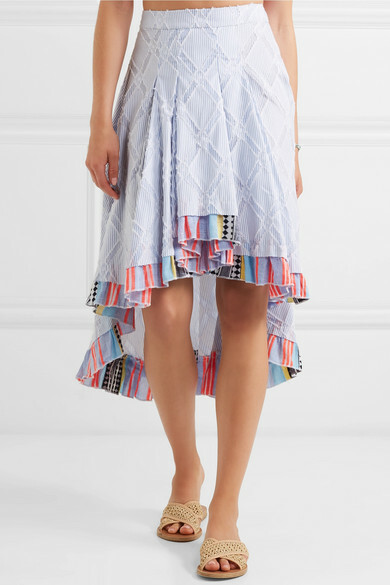 Made from a striped cotton-blend, this pleated 'Besu' skirt has a subtle diamond jacquard weave and falls to an asymmetric hem that's cut higher at the front. 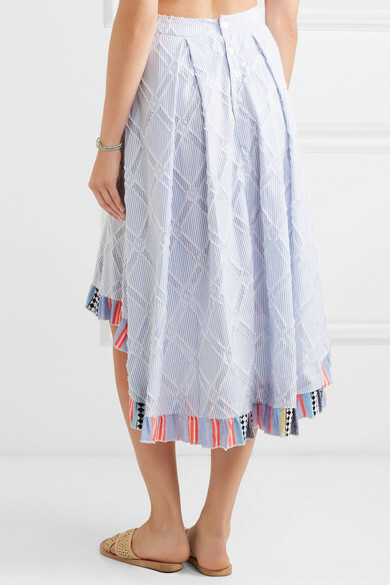 Complement the colorful trim by teaming yours with the coordinating top. Shown here with: Nannacay Tote, Ancient Greek Sandals Slides, Jennifer Fisher Earrings, Isabel Marant Bracelet.